See the Pen Sticky Footer with calc(); by Chris Coyier (@chriscoyier) on CodePen. See the Pen Sticky Footer with Negative Margins 2 by Chris Coyier (@chriscoyier) on CodePen. 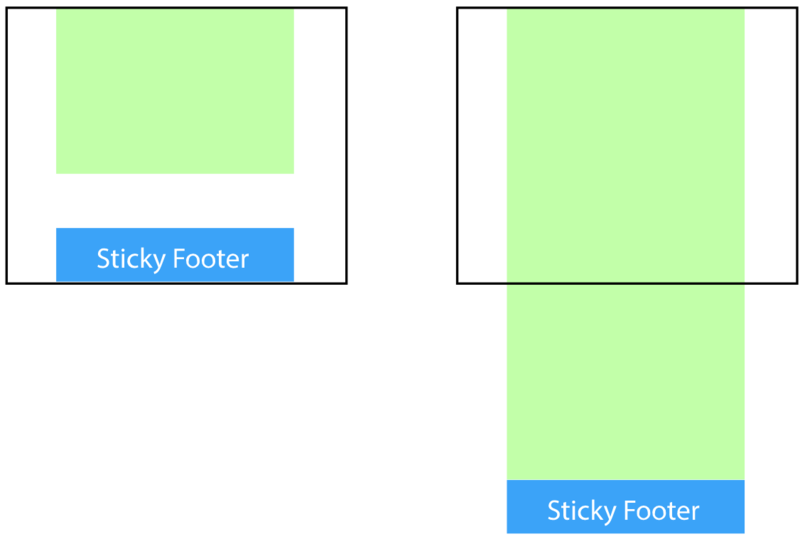 See the Pen Sticky Footer with Flexbox by Chris Coyier (@chriscoyier) on CodePen. See the Pen Sticky Footer with Grid by Chris Coyier (@chriscoyier) on CodePen.